The Coalition for Clean and Fair Elections (BERSIH 2.0) welcomes the Election Court ruling that declared the Cameron Highlands parliament seat vacant after corrupt practices were proven to have been committed with the knowledge and consent of the BN candidate C. Sivarraajh in the 14th general election (GE14). We also commend the Malaysian Anti-Corruption Commission (MACC) for beginning the investigations into allegations of corruption during GE14 in the Cameron Highlands constituency, as reported by New Straits Times on 2 December 2018. As bribery was proven in the Election Court, in that money was given to voters by C. Sivarraajh and the current Pahang Menteri Besar Wan Rosdy Wan Ismail, we call for the prosecution of C. Sivarraajh, Wan Rosdy Wan Ismail and anyone involved in bribing voters under section 10 of the Election Offences Act. 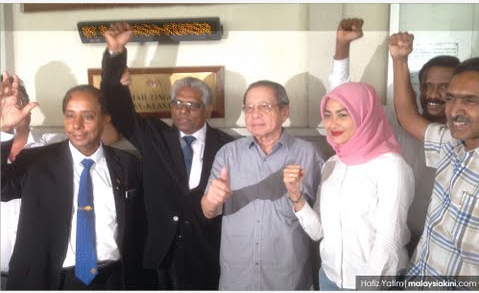 Those found guilty of the bribery offence shall be liable to imprisonment for up to two years, a fine up to RM5,000 and removal of right to vote and be elected in election for five years. As for Wan Rosdy, his seat shall be vacated upon conviction, too. May this case serve as a timely reminder to all political parties and future election candidates that electoral offences will not be condoned and those implicated whether they are from the ruling or opposition parties, must be punished under the law in order to uphold the integrity of the elections.